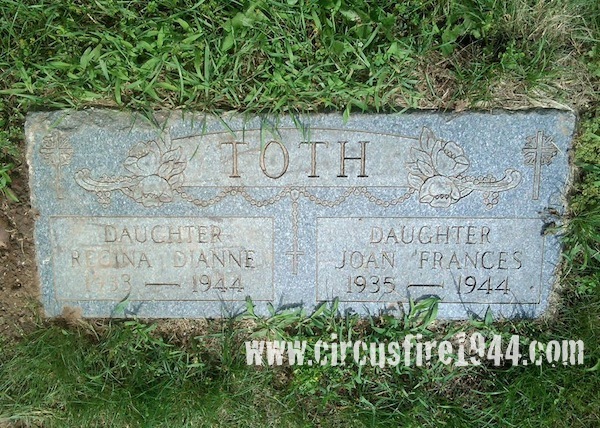 Miss Joan "Joanie" Frances Toth of 14 Woodbine Street, Hartford, was born July 3, 1935 in New York City, daughter of Hartford natives Louise (Treadwell) and Alexander Toth. 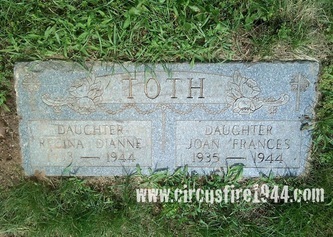 Joanie was found dead at the circus grounds after the fire on July 6, and was buried at Mt. St. Benedict Cemetery in Bloomfield after services at the Farley Funeral Home on July 8. 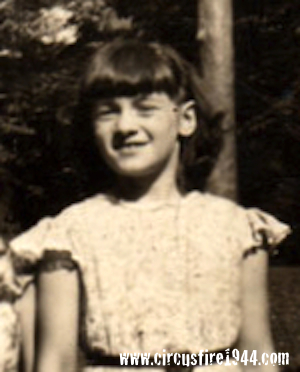 Joan's sister Regina, 11, was also a victim of the fire. She leaves her parents; her brother Albert William, 4; and her sister Louise, 7. Body #1533 was identified at the State Armory as Joan Toth by her father on July 6. Joan's estate was awarded $7,000 by the arbitration board. 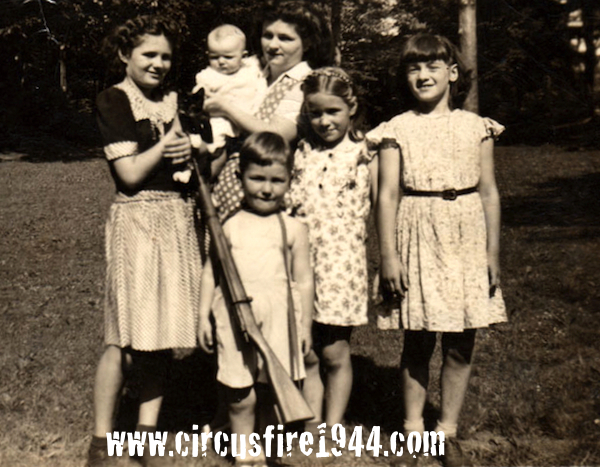 Joan and her sister Regina were celebrating their birthdays at the circus with their mother, Louise; their sister, Louise; and their brother, Albert. 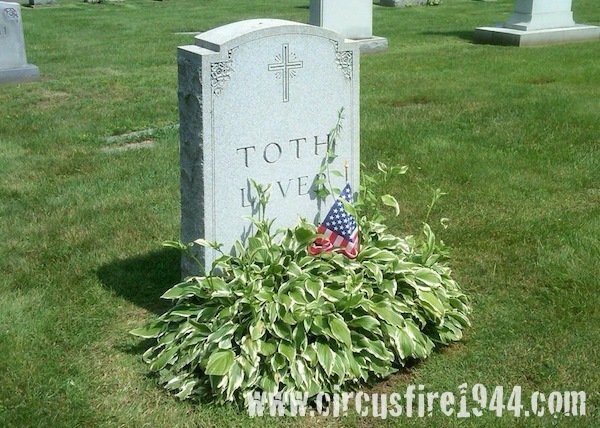 Seven-year-old Louise was the only one to escape unharmed; all of the others were severely burned, and only Louise and Albert and their mother would survive. The children's mother, Louise, was in a coma for some time after the fire, and wasn't told that two of her daughters had died until months later. Albert was given a 10% chance to survive, and beat the odds. 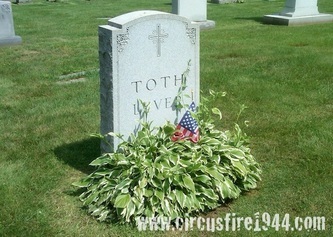 Alexander Toth, the girls' father, was employed as a supervisor at Pratt & Whitney.